Found 9 file extension associations related to iWork and 5 file formats developed specifically for use with iWork. iWork, Apple’s office productivity suite, is the easiest way to create documents, spreadsheets, and presentations the Mac way. Pages is both a streamlined word processor and an easy-to-use page layout application. It allows you to be a writer one minute and a designer the next, always with a perfect document in the works. Numbers, with its great-looking templates, easy-to-create formulas, and dynamic tables and charts, gives you simple ways to make sense of your data. Use Keynote to create your presentations, and you’ll be a hard act to follow. Its powerful yet easy-to-use tools and dazzling effects put the show in slideshow. Packed with over 250 Apple designed themes and templates including 60 new designs overall iWork lets you create projects that look polished from the first page or slide. And iWork is compatible with Microsoft Office, so it’s easy to share your work. iWork for Mac is obsolete product. Pages, Numbers and Keynote are now distributed as a stand-alone applications for Mac and iOS via App Store and is now available as a cloud service accessible from iCloud web. The iWork software seems to be old or discontinued. Opening PAGES documents without Mac - How to open .pages files on computer with Microsoft Windows. Opening NUMBERS spreadsheets without Mac - How to open .numbers files on PC computer with Microsoft Windows. 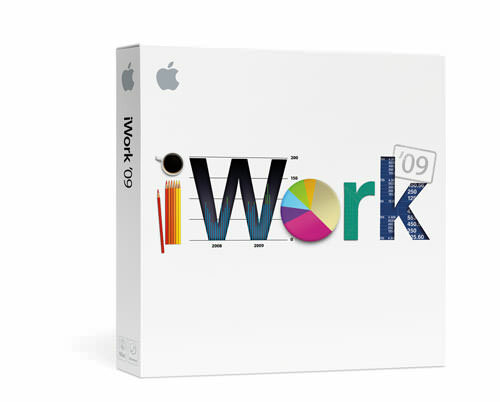 If you need more information please contact the developers of iWork (Apple, Inc.), or check out their product website.